Remodeling your home requires time and care. You might start with the intention to add a walk-in closet to your bathroom. Then, you’ll suddenly realize you need to do a plumbing update throughout the house. Next thing you know, you’ve blown your budget on a heated floor, clawfoot tub and those lighted closet bars you had to have. Focus is key, as is a bit of thoughtful planning. Here are the most common mistakes people make in a big renovation. Our home remodeling contractors will help you avoid them throughout your project. People often do not invest enough in the heart of the home, like the kitchen or living room. It’s important to give priority to these spaces. Keep your kitchen and bathrooms up-to-date, especially when considering value. Only after they are in great shape should you move on to less-crucial spaces like the bedroom or an office. Don’t spend a lot on an accent wall and then economize on laminate floors instead of hardwood. Think about what will make the most impact for the least amount. It’s a give-and-take process. Keep the bathrooms in your home always up-to-date. This is important for value down the line. Make the renovation super simple. Replace outdated tile with classic stone or swap in beautiful new fixtures. You don’t have to do a complete overhaul. Seek the help of an expert home designer. The exterior landscape is the prelude to the interior. It sets the mood and should tie into what is happening inside. Mixing and layering different styles and time periods is great. Still, always know and respect the original architecture of your home. Not sure what to do with your space? Hire a home remodeling service for their expert opinion. DIY is great in theory, but when it comes to home renovations, you never want to bite off more than you can chew. 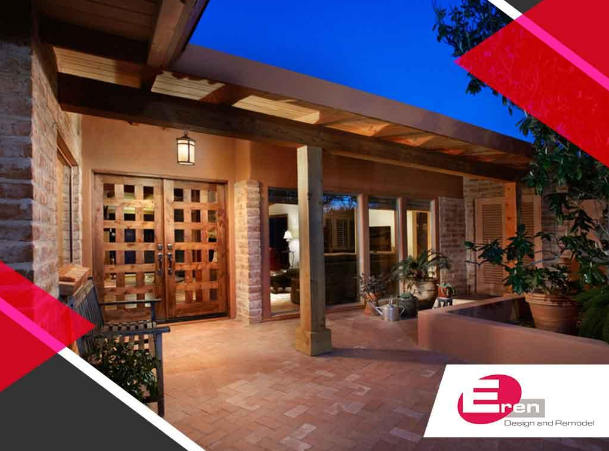 Eren Design and Remodel is ready to create the home of your dreams in Tucson, AZ. Call our house remodeling team today at (520) 885-2500 for a consultation.